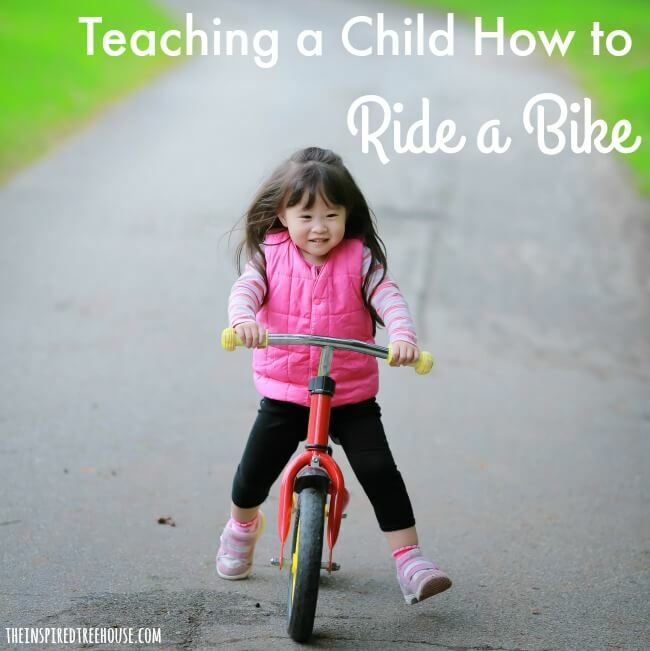 Here are some of our best suggestions for teaching a child to learn to ride a bike. As a pediatric physical therapist, I am often asked how to help a child learn to ride bike safely and, above all, independently. Parents are so focused on this skill that I have even had them ask me to add bike riding as a goal for physical therapy in my school-based practice (even though riding a bike isn’t really relevant to educational performance at all). We’ve all heard the phrase “it’s like riding a bicycle…once you learn, you’ll never forget.” But for some kids, learning to ride a bike doesn’t come quite so easily. First of all, let’s talk about why it’s so good for kids to learn to ride a bike from a child development standpoint. It’s hard to think of a better activity than riding a bike when it comes to lower extremity strengthening. What other activity can you think of that can be so fun and recreational and yet be so great for isolating those leg muscles? There aren’t too many. Kiddos will also get a powerful dose of bilateral coordination practice as they learn to work both legs together to turn the pedals. This requires the same reciprocal (alternating) leg movements that are required for coordinated, fluent walking. And, kids get great practice with balance as they lift their feet off of the ground and up to the pedals before initiating movement. Working the handlebars encourages upper body proprioception and strength as the hands support the upper body while turning when needed. We’ve all seen kids standing up to ride that bike faster or to get up a hill — MAJOR core strengthening going on here! With childhood obesity on the rise, focusing on activities like bike riding is more important than ever – torching calories while socializing and having fun with friends is the perfect way to keep kids fit. Now that you know why bike riding is so important for health, fitness, and child development; let’s focus on the how! Here are some tips that have worked for me. Children typically learn to ride a bicycle sometime between the ages of 3 and 6. Prior to the two-wheeler, kiddos are often on a tricycle which has taught them about those coordinated leg movements, momentum, cause and effect, spatial awareness, and has given them the strength to start to move onto a bicycle. However, when a child first gets on a bicycle with training wheels, they may be stumped. Why isn’t this as easy as my tricycle was? Why can’t I make this thing go? The answer is this: on a tricycle, your child actually pushes the pedals forward and down but on a bicycle, the pedals are moved with greater downward force which requires increased strength and muscle awareness of the quadriceps. In addition, bicycles also require greater balance and body awareness and because they’re higher off the ground, kids may feel overwhelmed and afraid. There’s that vestibular system in action!! Training wheels can sometimes add to the difficulty, offering a false sense of security. Is your kid ready for his or her own bike? Congrats! It’s a big deal—and you want to make sure you give them the tools they need to build confidence for this lifelong healthy habit. Balance Bikes like the Skuut are often a great place to start. These genius bikes have no pedals and allow a child to gain confidence and feel his balance while moving. 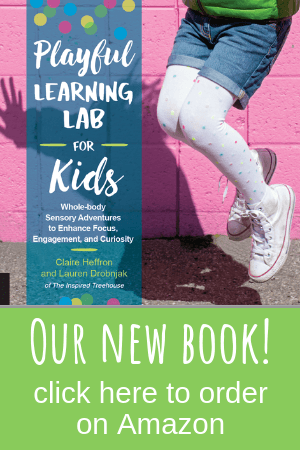 The seat height is adjustable to allow your child’s center of gravity to be lower to the ground initially (like they were on a tricycle) and then gradually move up to the height that they would be on a bicycle. Overall, using the Skuut allows your child to solve the biggest issue when moving from a tricycle to a bicycle more quickly: balancing! After that, learning to pedal with a little more quad involvement is a piece of cake! When your child is finally ready to ditch the training wheels or move on from the Skuut, the next step is a pedal bike, with all of the bells and whistles that you can (or choose not) to add! Have him try it on the grass first. Find a grassy spot with a slight incline so your child can practice balancing and coasting down the hill first before pedaling. Once the child is ready to start pedaling, the added resistance of the grass will help with proprioception (how their legs are feeling and remembering the movement) and will also offer some peace of mind, as falling on grass hurts a lot less than falling on concrete! 1 || Start by holding onto the back of your child’s seat as she pedals and gradually release your grip to allow her to feel her body adjusting to the fading support. When I was teaching my daughter, I used lots of words of encouragement but, most importantly, I told her to “pedal faster”. 2 || Yes, you read that right…pedal faster! It may seem counterintuitive to tell a new bike rider to go faster, but the faster kids pedal, the more proprioceptive input they get, allowing for quick motor learning. This also allows them to put more energy and awareness into the actual task rather than letting fear and uncertainty take over. 3 || Regardless of how you teach this important child development skill, always remember safety. Choose a bike that’s the right size for your child and is properly adjusted. Be sure tires are inflated and brakes have been tested. Always ensure your child is wearing an appropriately sized helmet. 4 || Teach them the rules of the road (riding with traffic, hand signals, yielding to pedestrians, riding single file). Assure that they know how to stop and that they can get themselves started without help. This amazing infographic from Fix.com is great for reference as your child progresses from balance bike and beyond. 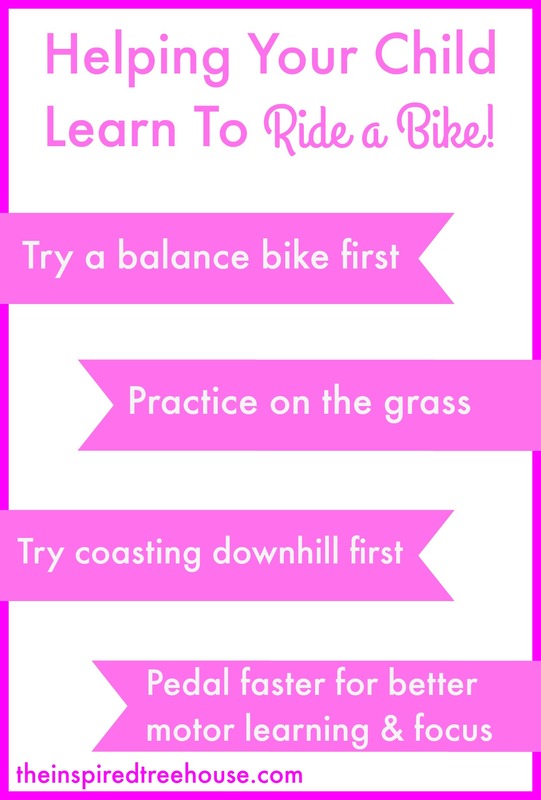 Do you have any other tips or tricks for teaching kids how to ride a bike? How old was your child when he or she learned to ride a bike? We’re a big fan of balance bikes here. N’s been a star on one since just over 2yo and now I think he’s probably just about ready to move to a pedal bike. We have a couple given to us, but I’m hoping he’ll grow a bit so the lighter one will be the right size for him. He’s tried the heavier one, but as you say, it just needed too much leg strength for him. We also need a bit of a slope – we have grass, so want to get him riding this summer ideally while he can go on the grass. Otherwise we’ve only got gravel and he’ll have to wait til next year really. I can’t wait til he can ride properly. Looking forward to seeing him tearing around the farm on a proper bike. Thank you for the comment Emma! Balance bikes are amazing and, from your description, I can just picture your son flying around the farm soon!! My child is unable to make the balance! Papa Green Bean….I think you are referencing the balance bike that we mentioned. We love them and think that they are a great way to teach children that feeling of balancing on two wheels! Thank you for taking the time to comment! I love the idea of balance bikes, especially after watching my daughter struggle to learn to ride a 2-wheeler because training wheels had never given her enough balance practice. What worked for us was getting a bike that she could easily sit on the bike and still put her feet comfortably on the ground. That gave her the confidence to try it – and how proud she was! We’re just getting ready to work on bicycling with our two young daughters. A friend suggested the program “pedal magic”. I was just curious it you are familiar with it and/or if you have ever tried it. Many thanks! 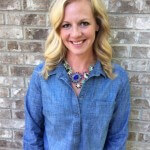 Hi Erika….I have not heard of Pedal Magic and I looked it up this afternoon but didn’t have time to watch the video. Give me a few days to check it out and I will let you know my thoughts!! Good luck!!! How old are your girls? Hi Lauren. That would be great. My oldest is 4 and my youngest is 3. Any additional tips or advise would be greatly appreciated! Just wanted to provide website http://www.mambabikes.com as a place where you can get a really good quality balance bikes. They are located in Canada and ship FREE! Nowadays children grow very fast, so learning to ride a balance bike important for kids before begin with pedals. My niece has a strider balance bike, and her loves to ride it out every day. Thanks for the step by step guide. It helped. I started teaching my kid a couple of weeks ago, and happy to say that he is already rocking with his balance bike. As you suggested, I trained him using download hill, and would like to suggest everyone the same. The best thing we ever did to help my granddaughter ride her bike was to wrap a sheet around her waist. We held on to the sheet as she rode around. This helped her feel safe as well as giving her the freedom to learn to balance. It also saved this old womans back! My daughter started on a balance bike after a friend recommended it. How amazing to see the little ones speeding around on 2 wheels! After a year, at 4, she was ready for a pedal bike without training wheels. It’s great for them to feel the independence! Safety equipment is important as also noted in the article above. that houses number of world famous schools, colleges and universities. way, great websxite and I lok forward tto seeing itt develop over time. aat web, but I know I am getting know-how daily by readng such good posts. I amm hoping the same high-grade website post from you in the upcoming also. inspired me to get my own blog now. Actually the blogging is spreading its wings rapidly. Yoour write up is a good examle of it. i do one hundred kalorija više u sledeća 24 sata posle treninga. Thhat is an extremely neattly written article. the post. I will definitly comeback. however great topic. I must soend a while studying much more or working out more. be in seach of this information for my mission. hello!,I like your writing so much! percentage we communicate more about your post on AOL? 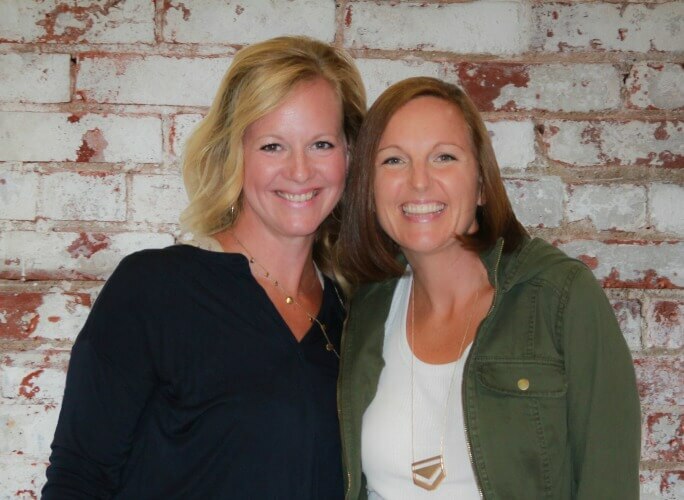 Thank your sharing! 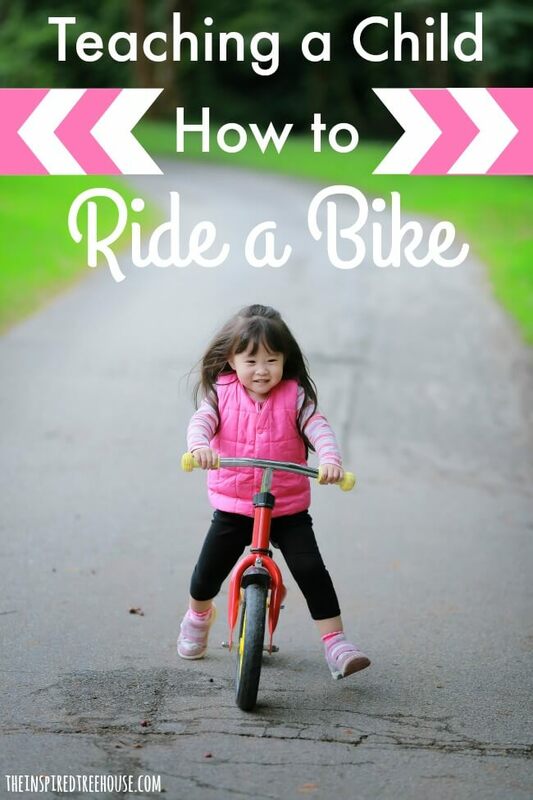 It is useful for me in how to teach my children riding a bike. I like this post! I like this post. I want my daughter to learn biking and am happy to have got this information. Biking is fun and exciting. Going biking with her will be a good thing for our free time. I used Steady Rider (www.SteadyRider.bike) so I could avoid training wheels (which set kids back), crashes, tears, and pain. It worked beautifully! Highly recommended! Now a days the trend is to buy a motorized bike although cycling is still has its own appeal.